John Campbell #229 died of cancer in February 2010. He learned to fly as a cadet in Hawaii. After graduating from high school John moved to Washington, DC. where, John earned his Spaatz in 1973. He was the sixth Spaatz recipient in the National Capital wing. He attended Georgetown University. was the Youth Committee chair. He had over 5000 flying hours. 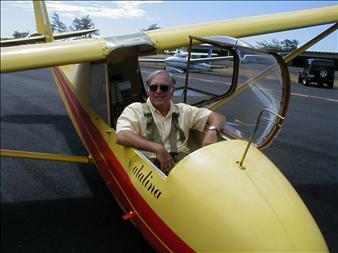 John gave his final flight lesson in early December 2009 and taught ground school until early January. He kept lecturing in astronomy until four days before he entered hospice care. He passed away nine days later. Thanks to Larry Trick, #452, for finding this update in the TSA Archives. Also, John was born in 1954, not 1955. Thanks Rick! I’ve updated the bio above.